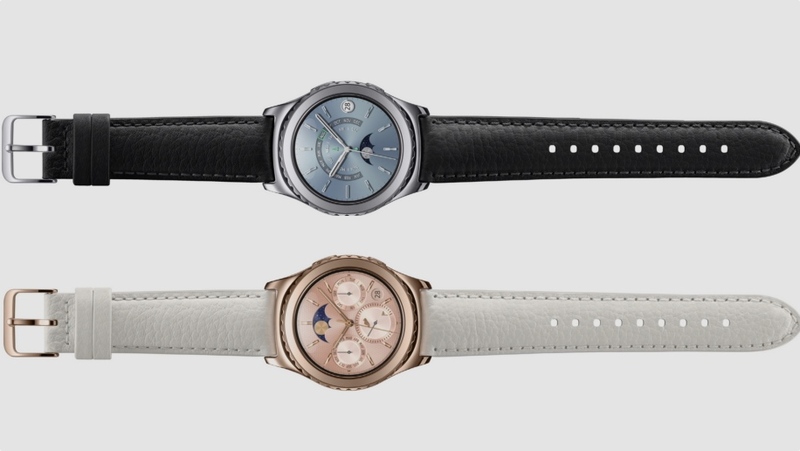 Samsung has taken the wrappers off a duo of new finishes for its much-lauded Gear S2 Classic smartwatch. The company has created both rose gold and platinum versions of its top-end model. Far from just a simple paint job, each watch is coated in the real material – with 18K used on the rose gold model. In addition to the new colours, those watches will be treated to four new watch faces, with added complications including the date, steps and moon phases, which can be customised to taste. What's more, Samsung has taken a leaf out of the Tag Heuer Connected's book, and the new watch faces boast a discreet alert when you've missed a notification. The wearer just twists the bezel to find out exactly how many notifications they've missed. Huawei has also given its latest smartwatch a makeover at CES with two new Elegant and Jewel models featuring rose gold and Swarovski gemstones. On first impressions, Samsung is keeping things a little more chic. The new finishes will be released in Q1 2016, but prices are still TBC - don't expect these to be cheap.